Good location in the center of Bucharest, near a beautiful park, valuable information, friendly people, maps of the city, comfy beds, clean rooms & bathrooms, bike rental. Also you will find here books and architecture albums and plenty of fun board games. 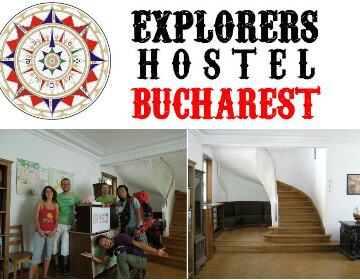 Bucharest Tips team has reviewd Explorers Hostel - Hostels in Bucharest. You can get here description, reviews, address, map, phone, website of Explorers Hostel in Bucharest. Visit Buchareset Tips for more Hostels in Bucharest!